With the Tahoe Super Pass, ski and snowboard Lake Tahoe’s four best ski resorts on one pass. 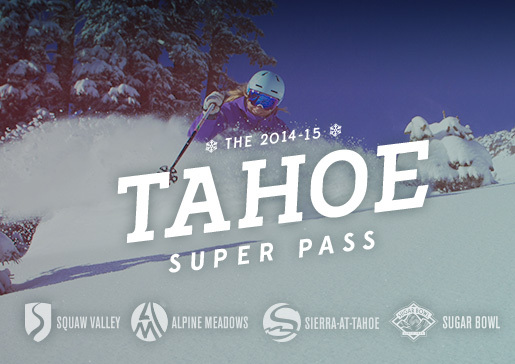 NEW for 2014-15 season passholders can ski and ride at Sugar Bowl Resort in addition to Squaw Valley, Alpine Meadows, Sierra-at-Tahoe and the Mountain Collective resorts. For more information or to purchase your pass, please visit the Squaw Valley or Alpine Meadows website.